The joint cabinet meeting between Cambodia and Thailand next month will exclude discussions on the Phnom Penh-Bangkok rail link, leaving the exact date of its launch in limbo. 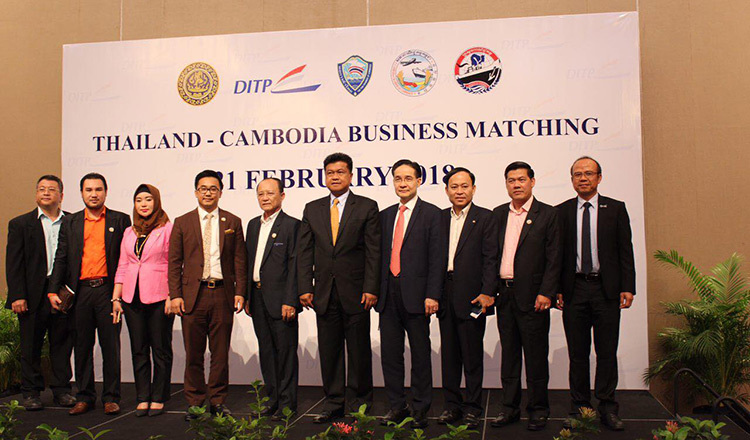 “I don’t think the Cambodia-Thailand railway will be on the agenda because there is still a stretch of rail track under contention and border talks to agree on the transport of goods by train are still inconclusive,” said Chan Kimleng, director of the Transport Ministry’s railway department. 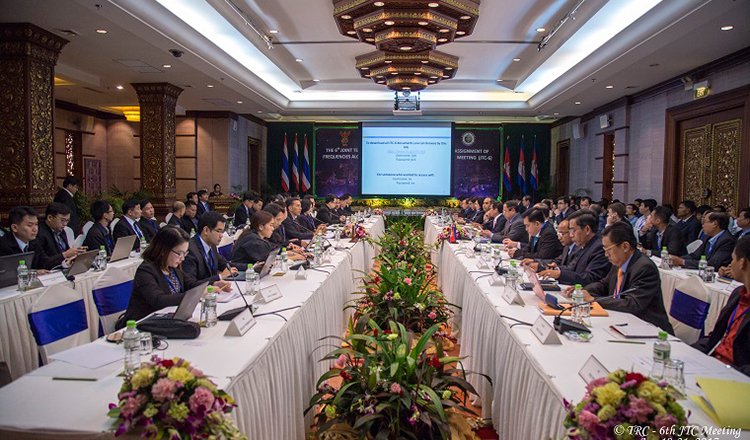 The meeting will be co-chaired by Prime Minister Hun Sen and his Thai counterpart Gen Prayut Chan-o-cha and will be held in the first week of September in Siem Reap province. “At this juncture, I cannot say with certainty when the rail link will be completed. There’s still 10 percent of it yet to be completed in Poipet city,” Mr Kimleng said. “We expect the issue of the missing link to be resolved by October. After that the railway will be completed,” he added. The train service between Cambodia and Thailand which was expected to begin operations early this year has been delayed due to a contentious one-kilometre stretch of track in Poipet city. “We can’t lay tracks on a length spanning 1,300 metres due to the presence of some ‘unauthorised’ buildings right in the middle of the track area,” Mr Kimleng said earlier. 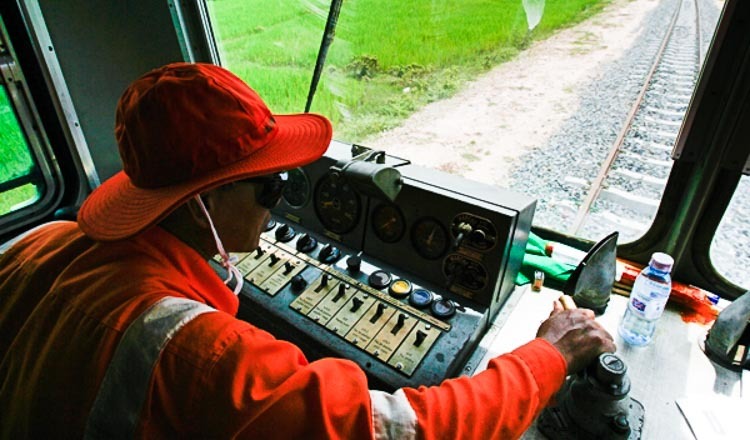 “Once the issue of compensation has been settled, the last stretch of track can be laid between Serey Sophon district and Poipet,” said Mr Kimleng. The Cambodia-Thailand train service will connect Phnom Penh and Bangkok and the Poipet border crossing in Banteay Meanchey is the gateway to the Thai town of Aranyaprathet. 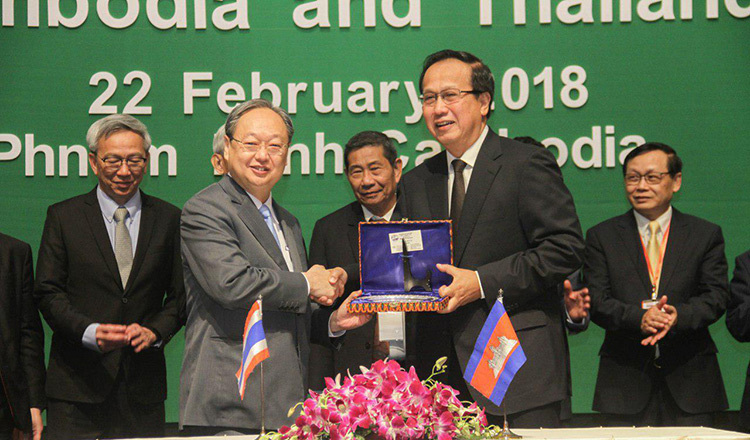 The agreement to link railways between the two countries was made by Mr Hun Sen and Gen Prayut in late 2015 and aims to boost trade and travel. 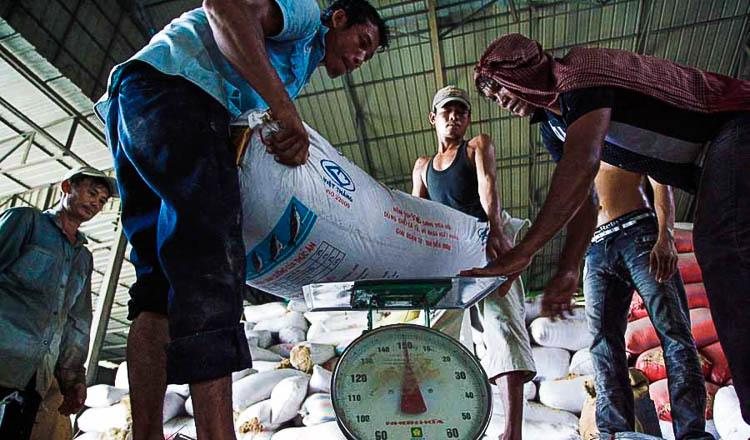 It is hoped it will boost bilateral trade to up to $15 billion by 2020. Minister of Public Works and Transportation Sun Chanthol said late last year Mr Hun Sen and Gen Prayut agreed to get in a train together to cross the border at the official inauguration ceremony. The railway between Poipet city and Serey Sophon district is part of the eastern corridor of the rail link between Singapore and Yunnan province’s Kunming city in China that will eventually connect all of Asean.